A radiator is a device used for cooling an internal combustion engine. That means that radiators are found in cars with gasoline and diesel engines, as well as in motorcycles and some types of railway trains and aircraft. Unlike the radiator in your house, which makes your house warmer, the radiator in your car actually makes your car cooler. 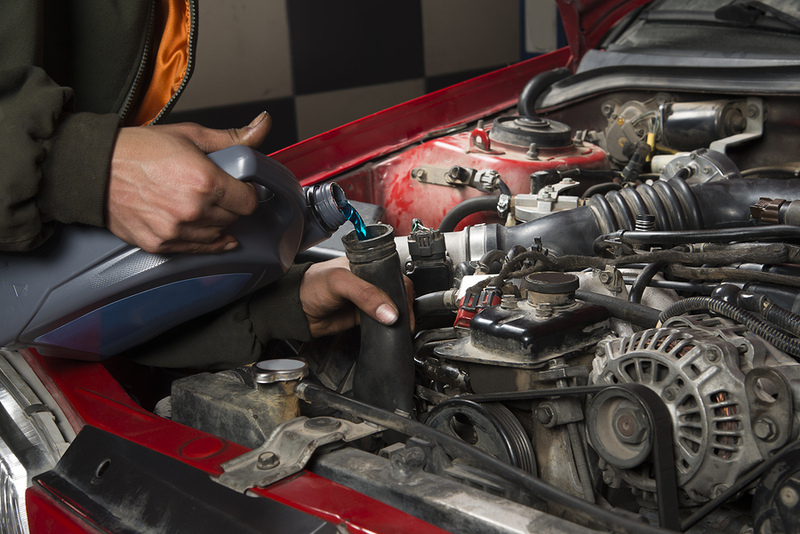 When the coolant in the car’s engine reaches the radiator, it cools down as heat escapes from the radiator. Then the coolant goes back into the engine and keeps it cool until the coolant needs to go back to the radiator to cool off again. In some cars, a water pump makes the coolant circulate between the engine and the radiator, and in others, an axial fan performs this function. In many cars there is also a thermostat that increases or reduces the amount of cooling going to the radiator, depending on how much cooler the engine needs to get in order to operate safely. Radiators are designed to have as much surface area possible relative to their volume, so that they can be exposed to as much cool air as possible without taking up a lot of room in the car. Most radiators in cars have two header tanks connected by a core. Old radiators were made of brass or a combination of brass and copper, but in newer radiators, the header tanks and core are made of plastic and aluminum, respectively. These radiators are less expensive than the old copper and brass radiators, but it is not easy to repair them, so they usually need to be replaced if they malfunction. Another difference between old and new radiators is that the new ones have a core made of thin sheets of aluminum, whereas older radiator cores had a honeycomb or coil pattern.